Back when CES was in full tilt, journalists just couldn’t stop confusing Xi3’s Piston with Valve’s Steam Box. Like these guys still are. In fact, a lot of people kept using a photo shopped picture of Steam’s logo on a Piston. Like we shamelessly just did. This week, Xi3 announced “Piston”, their new entry to the console market. It’ll cost $1,000, run on Linux, and it’ll be able to run Steam on “Big Picture” mode. People are conflating Xi3’s product with Valve’s Steam Box for three reasons. Firstly, it’s called Piston, which fits Valve’s rules for moniker making. Secondly, it’ll be able to actually run Steam, but if PCs continue invading the living room, we bet most of the others will too. Finally, Xi3 and Valve did a bit of work together last year, and given Valve’s secrecy and the speed of the video game rumour mill, information got out of hand quickly. Here’s a quick summery. The Piston is a PC for your living room that can run Steam, but it’s not developed by Valve and it’s not the Steam Box. 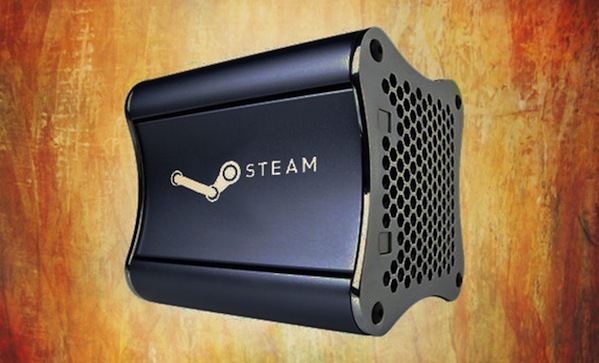 Valve is definitely making a Steam Box, given that CEO Gabe Newell has said as much, but he’s also talked about working a long time to get everything just right. Furthermore, other PCs will be invading the living room soon; Newell fears the entry of Apple into the console wars. Also entering the fray is the $99, developer-friendly, kickstarter-funded Ouya, which is built to be modded.